Guest House, hostel & 4 private rooms. SANA is a villa, a tropical garden retreat. Vacationers, backpackers, people in transit through the Cibao International Airport, missionaries, medical teams (which have included dentists and midwives), honeymooners, business travelers, couples who have chosen SANA for their wedding venue, Bird watchers, day passes, people needing respite or time to heal from medical procedures, all have found SANA a quiet reasonably priced place to stay and just breathe. Our name SANA means heal in Spanish. El Jardin Secreto is The Secret Garden, a perfect description of what they will find in our place. Our location is a walled property with a gate that is locked at night. There is an intercom at the entrance and a bell to ring upon arrival. We appreciate knowing what time to expect you. We have wheelchair accessiblity, Property keeper throughout the night, and a gardener during the day. There is solar hot water, Cable TV, Wifi and Magic Jack. 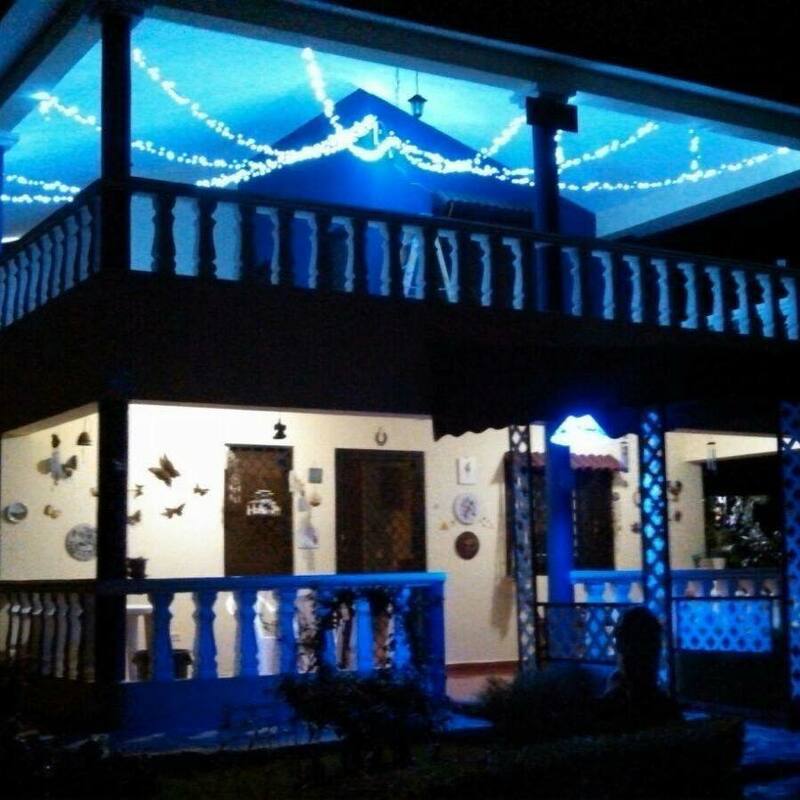 SANA is located 15 minutes from Cibao International Airport. There is a second communal kitchen Called Emily's Kitchen, A BarBQ and laundry room to use, a pool surrounded by nature, a great place for Missionaries and also we have special pricing for missionary groups are availables. Noemi our housekeeper/cook is available to cook for you. You make those arrangements with Noemi directly. SANCOCHO (Dominican stew cooked over and open fire) is the SANA specialty. We have Basketball, volleyball and badminton, dominoes and checkers. English speaking driver available. Sana is a great place for your vacations and learn to speak Spanish and dance merenque. In main house,Three bedrooms, two bathrooms, Dormitory/Guest house sleeps 12 to 24 people and 4 private rooms with fridge and air conditioning included. SANA El Jardin Secreto has a Guest House (sleeps 10) and Hostel we call Maricucha (sleeps up to 28) and 4 private rooms we call, Aliyah, Abbigail, Alicia and Emily. The museum, theaters, casino, Oceanworld in Puerto Plata, 27 Waterfalls, Historical place of Santo Domingo, eat fresh caught fish in Maimon or just laze in SANA's double hammock.